This week on Sanjay Gupta MD: Is your sofa toxic? Your sofa contains anywhere between 4-6 pounds of flame retardants, even though for 20 years, scientists have warned that these chemicals can cause cancer and neurological defects, especially in children – even autism. And yet they’re still in use – in everything from furniture to baby products – because the companies who make flame retardants, and their supporters in Congress, say the science isn’t clear. 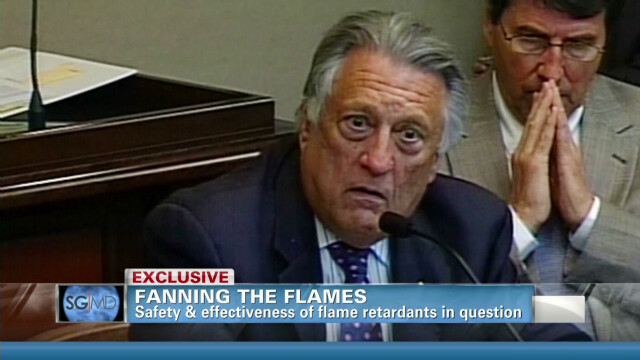 But as Dr. Sanjay Gupta reports, the lobbyists have twisted the truth: that flame retardants are not only harmful, but ineffective. Our investigation uncovers misleading claims, highlights real health risks and shows how the chemical industry has put profits ahead of public health and safety. Sanjay Gupta MD airs Saturdays at 4:30 pm ET and Sundays at 7:30 am ET.